Washington State is one of the prettiest spots in the United States. It has the sparkling waters of Puget Sound and the many lakes and rivers. It is lush and green with many parks and natural areas. And it has unbelievable mountain ranges, boasting both Mt. Olympus and Mt. Rainier. These are just some of the reasons people are looking to buy Tacoma, WA homes. Potential buyers looking for condos and homes for sale in the Tacoma real estate market may want to check out the PiercePowerSearch website. The PiercePowerSearch website is a potent search engine that covers in detail the more than fifty thousand listings in the Tacoma real estate market. Each listing is detailed with all pertinent information and data. They include photos of the property and many also have virtual tours. Anyone interested in Tacoma, WA homes should consider using this site when looking for condos and homes for sale. One of the reasons that the PiercePowerSearch website is such a valuable tool is that it produces customized results based on the buyer’s search criteria. It is easy to enter all the features that you want in Tacoma, WA homes. But it is not just number of bedrooms, baths and the total square footage. You can also search by such options like home views, and you’ll get condos and homes for sale that have the desired view whether its mountains, lakes or rivers. This allows potential buyers to zero in on the exact properties they want in the Tacoma real estate market. You can also search for Tacoma, WA homes based on their community type. There are condos and homes for sale in both gated communities and those built around golf courses. There are properties in the Tacoma real estate market that are in exciting downtown areas and others in bucolic rural settings. It is even possible to use this search engine to find environmentally friendly green homes by searching for properties with LEED ratings. The PiercePowerSearch website is also very easy to use. One feature is the interactive map. While many listing sites have maps they are usually pretty basic. Some sites don’t even include maps, forcing searchers to go to another site to find a location. Not only does this search engine show you a map of the Tacoma real estate market, it also shows you where there are available Tacoma, WA homes. A person who needs to live near a particular commuter route can find the condo and homes for sale on the map. Then they can click on the house icon and get the property listing information. The searches on the www.PiercePowerSearch.com website are easy to do and return accurate and detailed information. 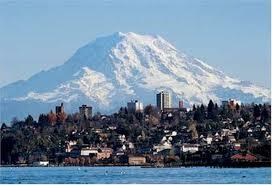 Potential buyers looking for Tacoma, WA homes should check out this site. Not only will they find all the condos and homes listed for the Tacoma real estate market, but they will also find information on financing and a list of real estate professionals. It is truly a powerful searching resource for potential home buyers.